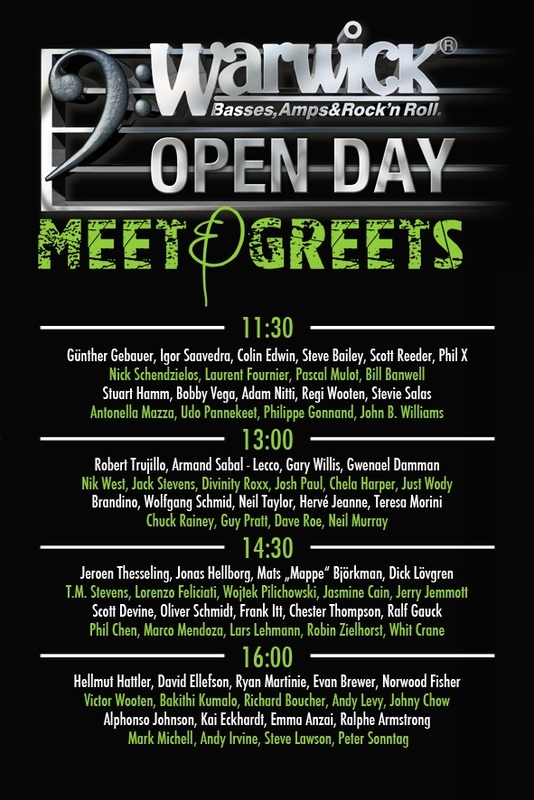 Warwick Bass Camp/Open Day 2014! 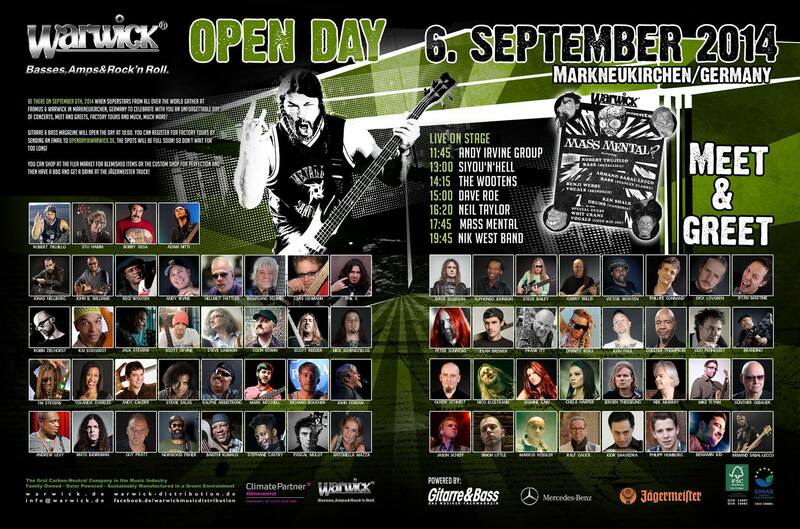 I’m excited to announce I’ll be attending this year’s annual Warwick Bass Camp + Open Day 2014 in Markneukirchen, Germany as a guest artist! This year’s artist and professor roster is incredible and it’s an honor to be attending. Hope to see you there! 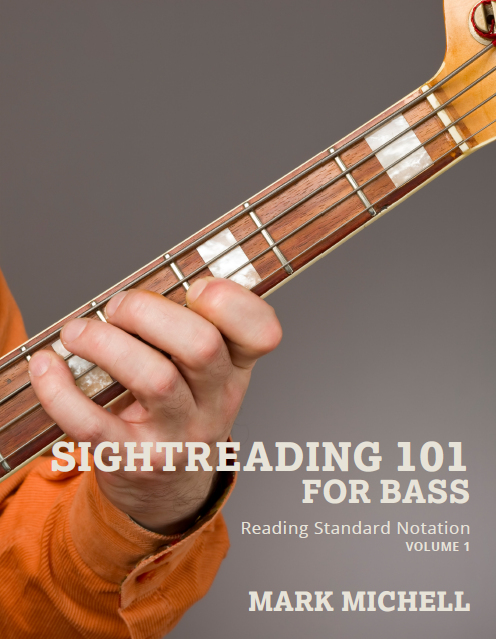 NOW SHIPPING: Sightreading 101 for Bass! I’m excited to announce the release of my second instructional book for bass guitar, focusing on the absolute basics of learning to interpret, read, and sightread standard notation. This book is geared for players who have little to no experience reading standard notation looking to learn from square one, and will help to go from never having read music before to reading basic notes and rhythms in multiple key signatures. This book contains 116 total pages, over 140 exercises, descriptive examples and figures, a full-color gloss front cover and spiral bounding, which is most convenient for allowing the book to stay spread open on stands and flat surfaces! All exercises are playable on 4, 5, and 6-string basses. Click HERE to download a free .PDF sample of this book! *The first shipment of books have just arrived and are NOW SHIPPING! Orders will be shipped the very next day, and the first 100 copies will be signed! First US Tour of 2014! I’m pleased to announce that Scale the Summit will be co-headlining a US Tour this Spring with The Ocean Collective (from Berlin, Germany) with support from The Atlas Moth (Chicago, IL) and Silver Snakes (Los Angeles, CA). Looking forward to getting back out on the road! We’re expanding our live show with some new visuals and video production, really excited to bring it out to the masses! See you there! 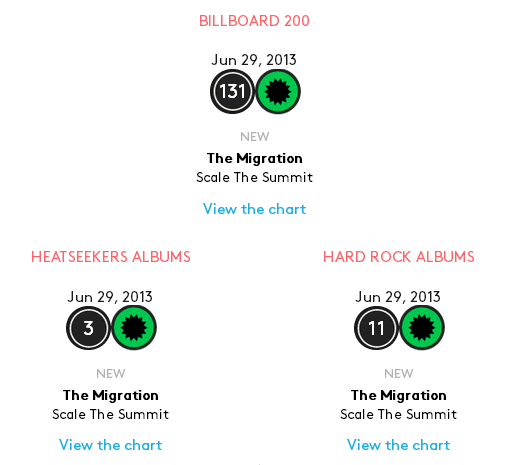 “The Migration” Cracks the Billboard Top 200 Chart! I’m extremely proud to announce that our new album “The Migration” sold around 3,700 copies in the first week in the United States landing the album at #131 on the Billboard Top 200 Chart! This is absolutely incredible and I simply can’t thank our fans enough for the support. Lastly, I just arrived home from our first North American tour in support of “The Migration” and couldn’t be more happy with the outcome of the tour. Huge thanks to Intronaut and Mouth of the Architect for an incredible tour, as well as any of you reading who made it out to the shows. Until next time! Very proud to announce the release of Scale the Summit’s official studio videos for our upcoming record “The Migration”, which will be released June 11th via Prosthetic Records. Check all three of them out below, and please ‘Subscribe’ to the band’s YouTube channel for many more videos and updates over the coming weeks. Also, our first tour in support of the new album will be a full US/Canada summer tour as direct support to Intronaut (Century Media Records) with Mouth of the Architect and Castle opening. Dates and tour poster below! 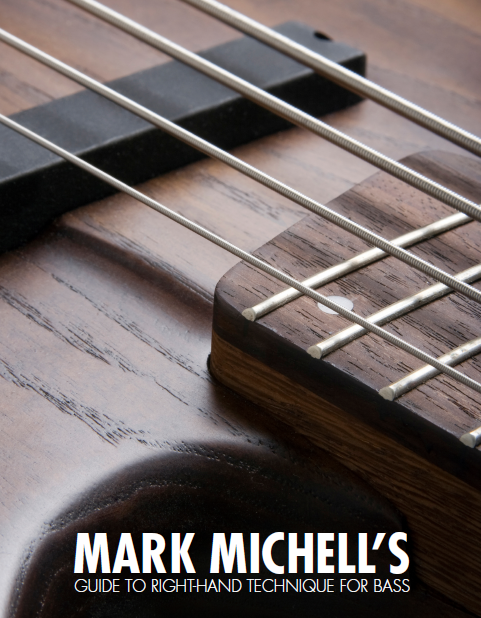 NOW SHIPPING: Mark Michell’s Guide to Right-Hand Technique! I’m excited to announce the release of my first ever instructional book for bass guitar, focusing around all of the various “plucking-hand” techniques. The book contains 16 chapters (143 pages), over 120 unique exercises, photos, descriptive “how-to” captions, and a variety of diverse exercises targeting ALL skills levels! I’m pleased to announce that I’ll be attending Winter NAMM 2013 this year in Anaheim, CA (Anaheim Convention Center). I’ll be present for signings, meet & greets, and demos at the EMG Pickups, Spector basses, and Acacia Custom Guitars/Basses booths! 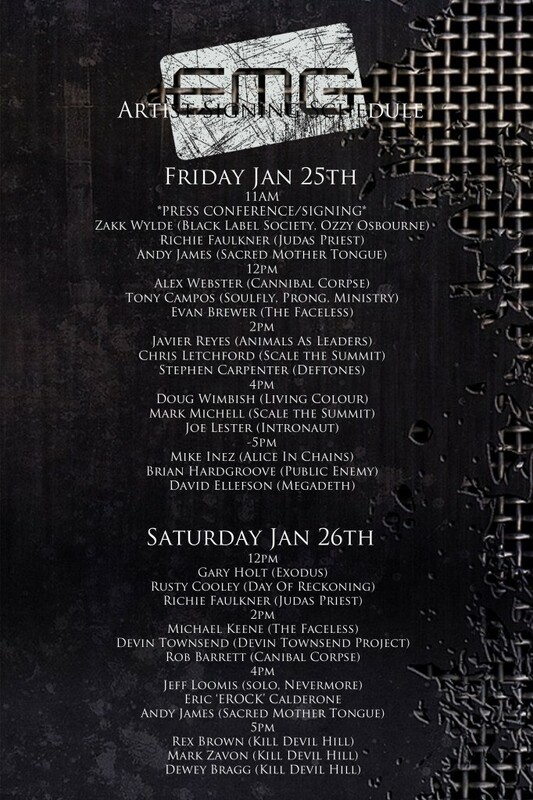 Below is the artist schedule for EMG Pickups, and under that is the link to information for the Spector Basses Artist Zone event. If you’re attending NAMM this year, I hope to see you there! New Album Teaser #2 from Scale the Summit! Here’s the second new album teaser video from Scale the Summit’s upcoming album “The Migration” coming Summer 2013 via Prosthetic Records. We’ll be entering the studio on January 2nd with renown producer Jamie King (Between the Buried and Me, Last Chance to Reason, The Human Abstract). Studio videos up next! Please share the video and get excited! Scale the Summit – “The Migration” – Coming Summer 2013! Get excited! Scale the Summit’s fourth record “The Migration” is set to be released Summer 2013 via Prosthetic Records. We’ll be entering the studio this January to begin tracking! For now, check out a brief teaser video featuring some footage from our writing sessions!